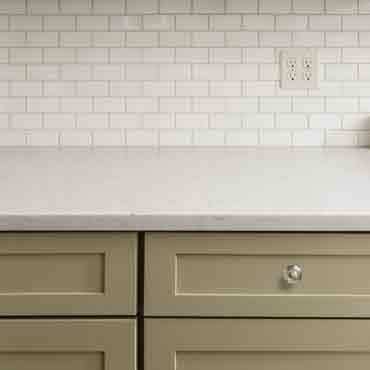 Solid surface counter tops are just what they're called, solid. The countertops are custom made to your specifications by companies such as Avonite, Corian, and Swanstone. Solid surface counter tops come in a large selection of colors and patterns; and is seamless and stain resistant. Hot pans and stains can damage the surface but imperfections can be sanded out. It is moderately expensive. HanStone is a Fine Quartz Surface.